Representatives of successful Finnish and Russian companies will gather in one site to show the potential of their businesses. In the frames of the forum program open discussions will be held on new types of educational environment, trends in the sphere of residential real estate, also opportunities of special economic zones and investment potential of region will be presented. Representatives of 50 Finnish companies have already confirmed their participation. Business delegation will be headed by the Ambassador of Finland to Russia Mikko Hautala. The key objective of the forum is the establishment of new partnership with Finnish business community. All the conditions for fruitful business partnership will be created on the Meet&Greet site. "Visiting the event, the Russian participants will get a unique opportunity to establish direct contacts with the leading Finnish manufacturers, and also to set up industrial meetings with enterprises by individual request. We continue taking leading positions in the Rating of Investment Attractiveness of Russian entities. 900 Finnish companies are already operating in the country. There are examples of successful Finnish investment in Tatarstan. We would like to multiply this success", — the Head of Tatarstan Investment Development Agency Taliya Minullina pointed out. The forum started its history in 2011. Previously, the event took place in such large Russian cities as Moscow, St. Petersburg, Yekaterinburg. Over its 8 years of history, the forum has established itself as an effective site for discussion of issues of the Finnish-Russian cooperation and implementation of joint projects, as well as the platform for searching the most effective producers of Finnish goods and services. "The business dialogue between Finland and Tatarstan is active, and the interest in cooperation is mutual. It is natural, that we have decided to move the largest annual business event in the Finnish-Russian business life to Kazan. 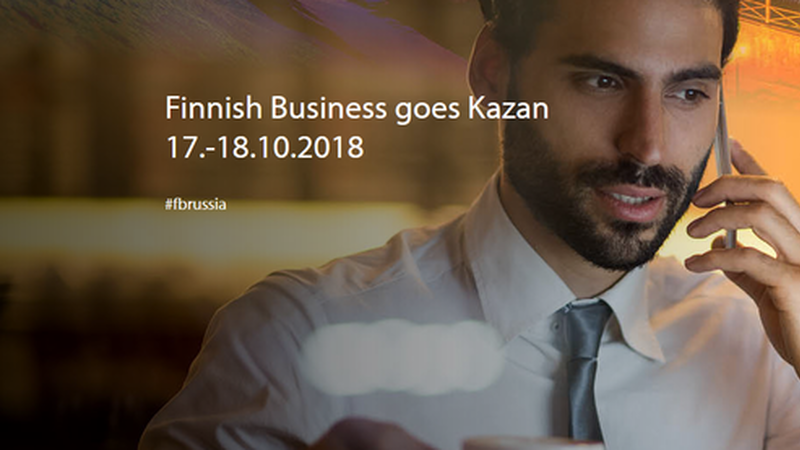 «Finnish Business goes Kazan» business forum connects businessmen and politicians, creates new contacts and strengthens already existing cooperation", — the Director General of the Finnish-Russian Chamber of Commerce Jaana Rekolainen reports. Finnish solutions are represented in diversity at the event. These are education, service sector, environmental know-how, engineering, healthcare as well as industrial technologies and equipment. At the same time the event provides the Finns an excellent opportunity to study Tatarstan, its business life and opportunities for business. "We, the Finns, can offer the best options both for private consumers and large companies-investors. The premise of mutually beneficial cooperation is working relations with authorities and good partners. That is why we come to Tatarstan to establish and strengthen relations, where administrative structures and business community are famous for open attitude to international cooperation", — the Ambassador of Finland to Russia Mikko Hautala says. The event is organized by the Finnish-Russian Chamber of Commerce in cooperation with Team Finland network and the Embassy of Finland to Moscow with the support of the Government of the Republic of Tatarstan. The partners of the event are such Finnish companies as YIT, Isku, Finnish Education Group and Kiilto, as well as SEZ "Alabuga".